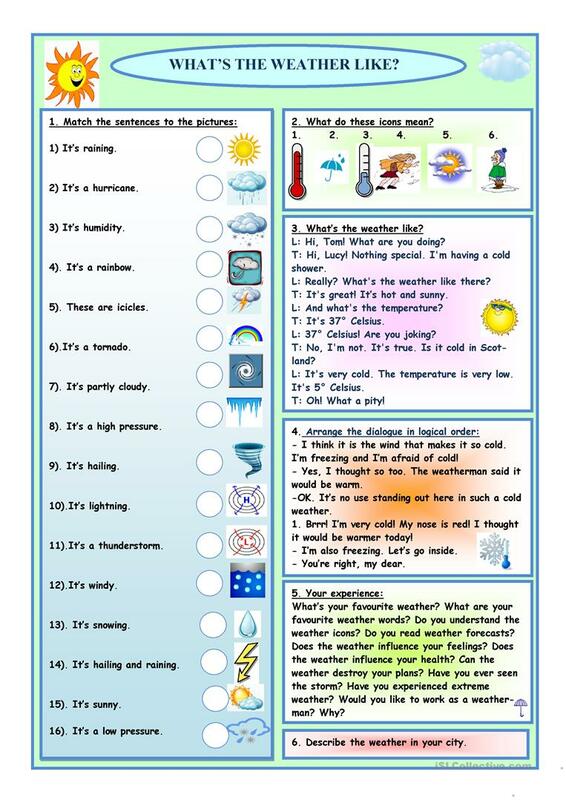 Five exercises for practising speaking on the topic "Weather". I hope this ws will be useful. Good luck! This downloadable worksheet is a great resource for adults at Intermediate (B1) and Upper-intermediate (B2) level. It is excellent for enhancing your students' Speaking skills.